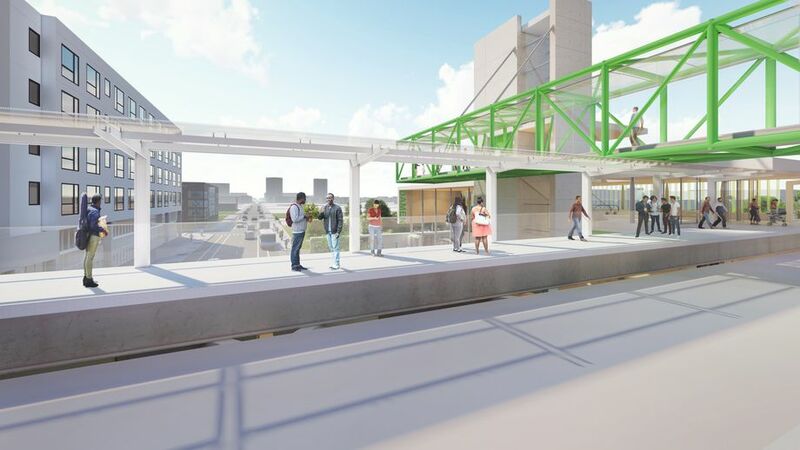 On Monday, Chicago Mayor Rahm Emanuel joined other city officials to release the first official images of the new Green Line station planned for the intersection of Lake and Damen on the city’s Near West Side. Announced in early 2017, the CTA facility will fill a more than a one-mile gap in service between existing Green Line stations at California and Ashland. 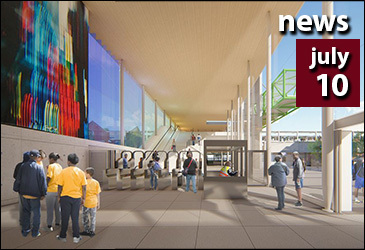 The city hopes the station will bring new opportunities to nearby residents and the small businesses lining the Kinzie Industrial Corridor as well as provide a mass transit option for crowds attending events at the United Center. The city tapped global architecture firm Perkins + Will to design the airy building—which bears minimal resemblance to an earlier conceptual design commissioned by Randolph Fulton Market Association. The company’s recent Chicago portfolio include the Northtown Branch library in West Ridge, the Simpson Querrey Biomedical Research Center in Streeterville, and the 14-acre Riverline/South Bank megaproject in the city’s South Loop. 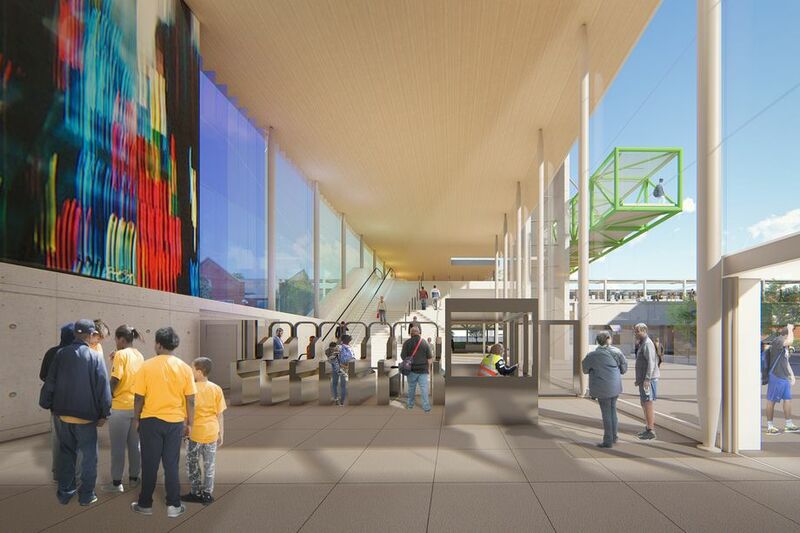 With its grand staircase and escalator easily visible through its transparent facade, the Damen station was designed to be intuitive to use, says the city. 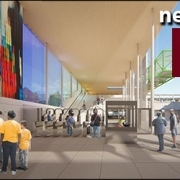 The structure will be topped by a glassy elevated bridge to connect the inbound and outbound and to provide riders with views of Chicago’s downtown skyline. Exposed steel trusses reference Chicago’s bridges while bright green colored accents mirror the CTA line it serves. The new platform is part of a larger Lake Street reconstruction taking place between Damen to Ashland avenues since April. Improvements include new street lighting, traffic signals, landscaping, and increased clearance below the L to accommodate truck traffic from the Kinzie Industrial Corridor. 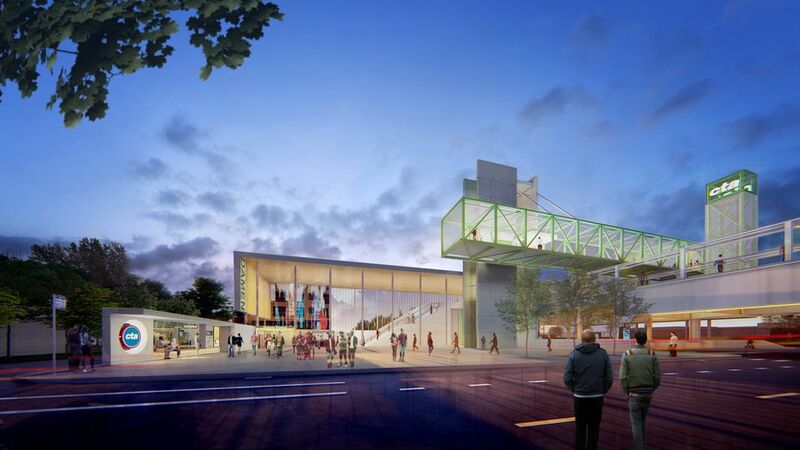 While the Lake Street project continues to move forward, work on the Perkins + Will-designed station isn’t expected to begin until later this year, starting with its foundation. Work on the actual station house structure is scheduled for spring of 2019 ahead of an anticipated 2020 opening date. Construction funding will come from state sources and the Kinzie Industrial Corridor tax increment financing (TIF) district, said Emanuel in a press release.